Curb appeal landscaping is something every new home construction build should be doing! 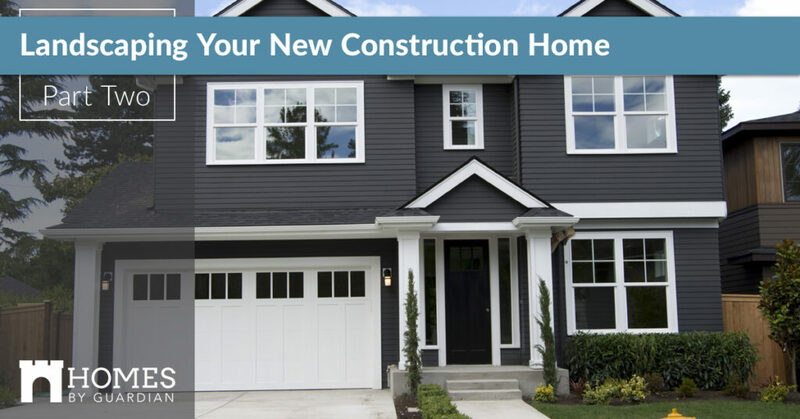 In part one, we touched on the stress that a big patch of dirt in the front yard of your new home build can bring. Yes, it is a blank canvas, but not everyone knows where to begin. We began with practical things you can be doing to cultivate a landscape plan for your new home. At Homes By Guardian, we craft Cheyenne communities such as The Pointe and Thomas Heights and both are full of landscaping opportunities! Learn additional tips and considerations when it comes to transforming your front yard into a landscaping oasis. Landscaping goes beyond grass — streetscaping your yard is practical for your home’s value and it’s a wonderful aesthetic to incorporate. You know a well-designed front yard when you walk or drive by — usually it involves a double take and admiration or all the plant life and different features. Below is a more in-depth look at how you can achieve the best landscaping on the block! 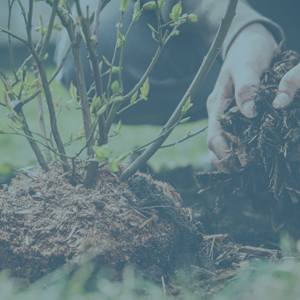 Plant trees – Other than working your soil, trees as one of the most important elements to your new home landscape plan. Trees create a framed look to your home and play an integral part to the overall curb appeal. If you can invest in planting mature trees it will add a sense of permanence and established look. Otherwise, choose trees that can grow with your home and provide protection and shade in the warmer months. Plan for structures and features – Architectural features such as a pergola, pond, fence, or porch are permanent but expensive. Plan your initial landscaping budget around these features and choose features that will stir balance and not ruin the ambiance or aesthetic of your home’s outdoor features. Look beyond grass – Are you stuck on a yard that only has grass because you’re not sure what else to do? There are so many alternatives to grass and most of the time they save you time and money because maintenance is much easier. Add ground covers and ornamentals that line pathways and the perimeter of your yard and strew a host of trees and flowering bushes in-between for the ultimate low-maintenance yard! If you like a cleaner more linear design, mulch is a perfect substitute. Landscaping borders and edges – Some things are definitive in landscaping and that’s what the borders and edges impart on your yard. This is the perfect time to add dramatic, contrasting coloring, form, and texture. Instead of your traditional ready-made edgings you can install to your grass, break it up with plants. But be careful they’re not too invasive and easily spread (hello lamb’s ear) or overgrow and impinge on your nice, clean borders. Also keep in mind to choose plant life that is evergreen or looks attractive year-round, as it’s hard to overlook brown, shriveling plants as guests make their way to your home. New home landscaping can be a lot of work! Work with a landscape designer and connect with your HOA to ensure a front yard that is aesthetically pleasing and fits within the rules. Are you ready to move into a premier Cheyenne living community? Let’s be neighbors — connect with us today.